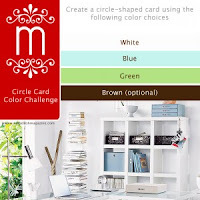 Hi, Here is my take on the Embellish Circle Card Colour Challenge..wow that's a bit of a tongue twister. I thought I had missed the deadline but it's been extended to Oct 18 so you have a few more days. The Stamp is a free digi by Katie Pertiet "One word" over at Designer Digitals. 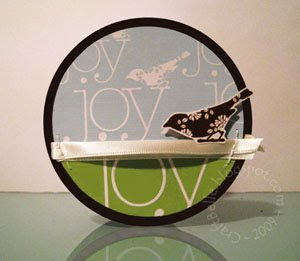 I used it here to make my own patterned paper & cut out. I love this stamp. A little ribbon and some stitching - really into my stitching at the mo too. love this modern, sleek feel, just gorgeous!! This is so graphic and clean! Love it! Thanks so much for participating in the challenge! Wow, I love this card. So Clean and Simple.